Garage: "2 seperate buildings 1500 and 3000 sq feet"
Located in the heart of the commercial district this multi- unit complex has great access to the major highways and the down town core. 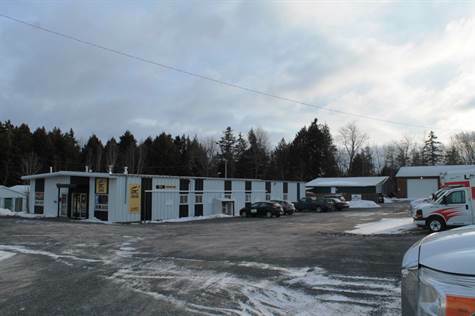 The large (1.25 acre) commercial lot provides plenty of room for existing tenants and possible expansion. Bungalows in this city can reach a price tag higher than what we are asking for this commercial property. None are built with a steel frame and large steel guarders or have a gross revenue of $84,000 a year. This opportunity comes to you once in a live time. There are three buildings. The main steel building Square footage is 5,000 sq. Ft. The second wooden structured building is 1,500 (sq. ft.) and the third wooden structured building has 12ft overhanging doors and 3,000 sq ft. There is assumable mortgage.